A Salzburg based manufacturer of high quality pellet and woodchip heating systems, we offer complete solutions for private and commercial applications with power output ranges from 2 kW up to 200 kW. In addition to our standard systems, our product portfolio includes tailor-made energy producing technology which also includes accumulators, solar technology and container solutions. As a leading company and holder of ISO 9001:2008 certificates, we are focused on continuous research and development driven by the need to ensure reliability and sustainability. 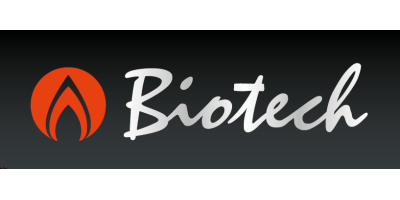 As a leading ISO 9001: 2008 certified company, which places primary emphasis on continuous research and development, Biotech is now active on various markets worldwide. Our sustainable, cost efficient and environmentally friendly equipment is manufactured with gretat attention to detail and enjoys the support of most European countries. Biotech founders are convinced that environmental considerations and leading technology must be consistently combined, in every respect! Thanks to their continuous technological developments, Biotech pellet, wood log and wood chips heating systems are optimised to achieve high efficiency while at the same retaining a low emission level. This is why our products have received international awards such as the Austrian eco label, the French Grand Prix de l’Innovation and many others. Since its foundation, the Austrian company Biotech (based in Salzburg) has grown into a global enterprise. 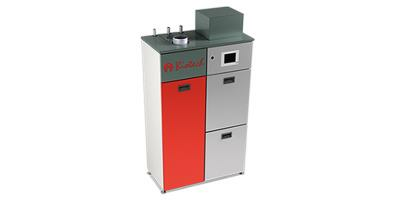 Gradually, the company became more and more concerned with export, as the potential of wood heating was recognised even beyond the Austrian borders. This was due also to the fact that, recently, the use and potential of renewable energy have been recognised worldwide, thus becoming increasingly important. While the main market is Europe, even American, Taiwanese and Japanese customers rely on the Biotech brand. 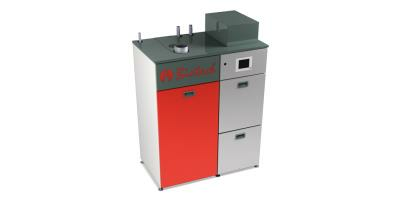 It was back in 1997 when the Biotech founders understood the enormous potential of pellet heating and renewable energy. In the garage of one of Biotech founders, Thomas Padinger, they started working on a customised boiler with the aim of making biomass heating systems accessible also to single-family homes, thus developing a heating system based on an energy carrier that at the time was still little known. The requirements on power technology proved to be ambitious from the outset: heating systems had to be space-saving, independent of spatial conditions, with a simple design, easy to use, equipped with a smart control and able to deliver the highest possible efficiency, also for the sake of sustainability. Now Biotech can look back on a fifteen-year success story. Advancements in technology led to innovative developments such as the DCC - dual combustion control. 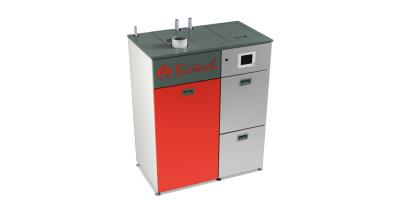 The unique combustion system enables low emissions together with low consumption. Thus the DCC® has become an integral, indispensable part of every Biotech boiler.